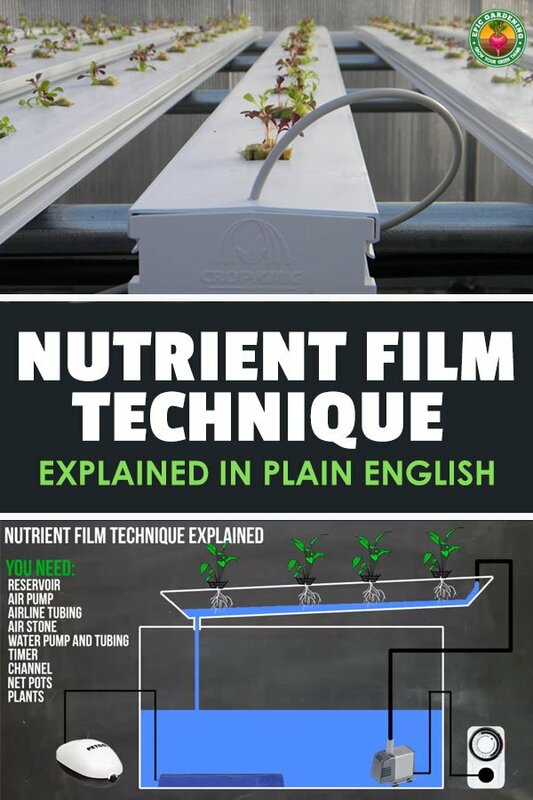 The Nutrient Film Technique, sometimes referred to as NFT, is one of the most popular types of hydroponic systems. It’s prized for how versatile and modular it is. By adding more NFT channels to the system (I’ll cover what those are later in the article), you can significantly increase your yields without too much extra effort. 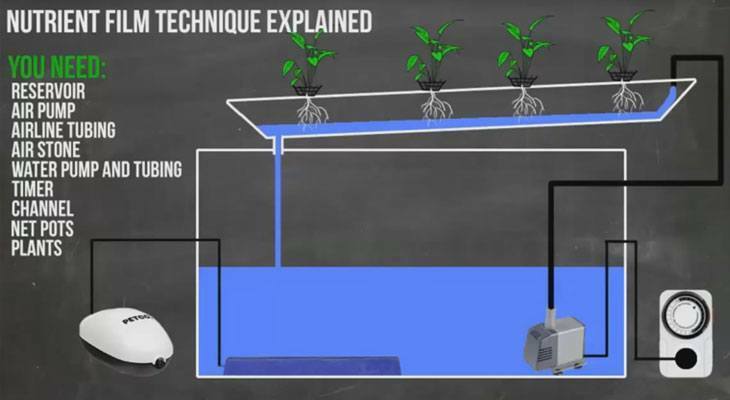 NFT is very similar to the Ebb and Flow technique for one simple reason: they both use water pumps to deliver the nutrient solution to your plants. In a NFT system, gravity ultimately guides the water back to the main reservoir. It’s also a constantly flowing system as opposed to the flood and drain mechanics of an Ebb and Flow setup. NFT systems are considered active systems, meaning they require moving parts to work. Systems like Wick Systems or The Kratky Method are passive, simpler to build, and easier to run, but you may be sacrificing optimal growing conditions for those benefits. The key element of a good NFT system is how the nutrient solution flows over the roots. It has the word “film” in it for a reason – ideally, a very small amount of water flows through the channels. This allows the plants to get sufficient oxygen so they don’t drown. A good DIY reservoir option. A quality reservoir is crucial to a solid NFT system. 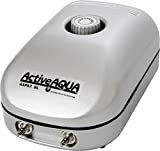 It’s placed underneath your grow channels and water is pumped upwards to your channels. When choosing a reservoir, make sure you’re aware which plastics are safe for gardening.​ This is especially important if you’re growing in full sunlight. Instead of flat trays like an Ebb and Flow system, a NFT system uses tubes or channels to house your plants and growing media. Many hobbyists opt for PVC pipes because they’re easy to buy and manipulate. All you need is a hole saw and some net pots and you’re off to the races. If you want to avoid that issue, you might go with rain gutters as a DIY option or even 2×4″s that are lined with a food-safe plastic sheet. But there are also plenty of products on the market that are customized for NFT growing systems as well if you want to get started quicker. When building or buying your NFT system, it’s important to consider the length of your channels. 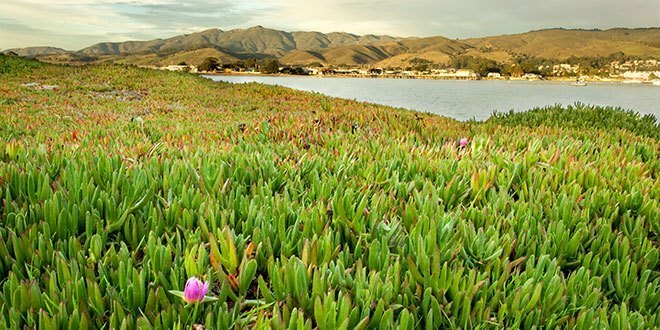 The plants that are closest to the water source will get the most nutrition and oxygen, and the ones at the end will get less. For this reason, having extremely long channels may be detrimental. 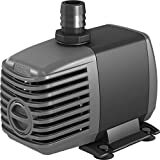 You’ll need an air pump to oxygenate the water in your reservoir. Because NFT systems also allow for a lot of air in the channels or tubes, this is less crucial than in other systems like deep water culture. But it’s still recommended and pumps are fairly inexpensive. The next logical item on the list are air stones. For NFT systems I typically like to use either an array of long thin airstones, or 2-3 of the circular airstones like the ones recommended below. These also come with suction cups, so you won’t need to buy them separately. For your tubing, it’s important to get black or dark tubing. Clear tubing has the potential to incite algae growth within the tube, which isn’t fun to deal with. There’s no real difference in price or quality, so I opt for the tubing that will give me less headaches in the long run. For a small system, a simple water pump like this will work just fine. If you’re going to grow commercially or large-scale, you’ll need something heavier duty though. Control your environment. This isn’t a tip that is specific to NFT…you should always control your environment to the best of your ability. It’s important in NFT systems in particular because your roots are more exposed than other methods. This makes controlling air temp, humidity, and air flow even more important. Control your temperature. Again, this is a tip that applies to many systems, but it’s worth repeating. Your nutrient solution should always remain in the 65-68° range for root health, as well as optimal nutrient absorption and dissolved oxygen (DO) levels. Decide how to start your plants. How you start your plants determines their future success in your NFT system. It’s common to start in rockwool cubes, but I personally prefer to use Rapid Rooter starter plugs (I’m not a big fan of rockwool). However you decide to start seeds, make sure it will transplant well into NFT channels. Keep your nutrient solution calibrated. 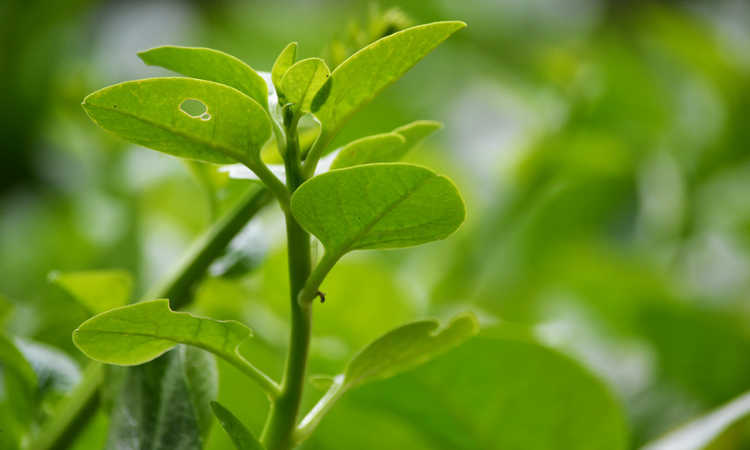 You’ll find your plants thriving in your NFT system compared to other methods, and doubly so compared to soil. 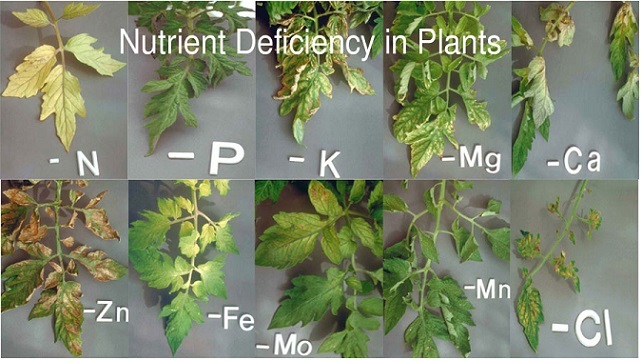 But that increased growth means increased water and nutrient uptake. 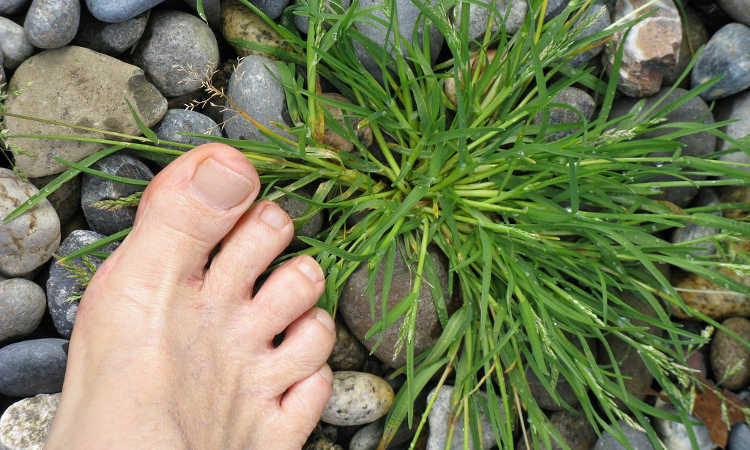 Make sure your plants are using water and nutrients at the same rate. If they’re not, top up one or the other (or both) appropriately. Monitor your pH. For most plants grown hydroponically, a pH range of 5.8-6.3 is ideal. It’s very easy for large fluctuations to happen if you’re not careful, so monitor often and make sure you’re within this range, lest you face nutrient lockout. You can either do this with a pH test kit or something like the Bluelab pH Pen. Remember to change your reservoir. About every week it’s a good idea to change out your reservoir completely. The larger your tank, the longer you can go without a complete nutrient solution change, but it’s better to change more often than wait too long. This ensures a perfectly calibrated system with the right amount of nutrition for your growing plants. Keep light out of your reservoir. Make your life easier by keeping your roots in the dark. If light gets through and hits the roots and nutrient solution, you are opening yourself up to algae growth, which is both a pain to deal with and affects the growth rate of your plants. Keep your environment clean. This is a no-brainer. Everything around your nft system should be as clean as the system itself. When you harvest from the system, give it a deep cleaning before you transplant new seedlings in. Start slow. After you transplants your seedlings into your system, don’t go too strong with your nutrient solution. The back of the bottle on most nutrients you can buy is higher than your seedlings need, so cut it by 25-50%, gradually moving up as your plants develop. Use a half strength nutrient solution to start your plants off, moving to two thirds to full dosage rate (as detailed on the bottle) after the first nutrient solution change (about 7 – 10 days after planting). Check your root health. Peek into your NFT channels once in a while to monitor your root health. They should be bright white and flourishing. 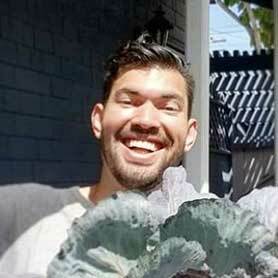 Use the right growing medium. Whatever you use to surround your plants’ stems, make sure it isn’t blocking the root zone from developing. This will stunt growth! Support your plants. As your plants develop, you may need to stake them, tie them, or use some sort of support as they begin to fruit or flower. Don’t plant too dense. Because the roots grow through your NFT channels, you run the risk of clogging your channels if you plant too close together. Transplant into your NFT system at the right time. Make sure that you transplant your plants into your system when the roots have developed to the point where they’re already peeking out of the starter plug (or whatever else you used to start seeds). By waiting until this point, you’re allowing the roots to have immediate access to water and nutrients once they’re in the system. This is perhaps the best site I have found on homemade hydro. Im about to take the plunge and build a system for the first time. I have a couple of questions if you have the time to answer. Firstly, when you first transplant the seedlings how do you maintain a high level of water within the tubes so the roots can reach it if the run off hole is drilled in to the underside of the pipe? I plan on running from the reservoir into the first pipe and having a hose run from the end of that into 3 more pipes in an “S” formation and then back to the reservoir. Secondly, I want to grow hot chillies. What nutes do I need to be using? Last but not least, I was thinking of placing 3 plants in each section of metre piping. The setup will be inside. What kind of light ahould I be using? HPS or LED?? Thanks! This is a great website and a great article. Do you have a chart that gives recommended spacing for different plants grown hydroponically? I am thinking of starting a system with 5″ or 6″ pipe. First, I will use a tub to get my “feet wet”, pun intended. I want to start with strawberries. Once I get the hang of that, I will progress to the pipe system. I am also thinking of running separate lines to each channel so that each plant gets the same amount of nutrient. It is more complicated and takes more resources but I think the plants will do better. In phase two, I want to do tomatoes and similar vegetables, but want to know about spacing now so that I can start planning. Thanks Tom! I don’t have that chart yet – it’d be highly dependent on the type of system you’re growing in, too. Check out commercial tomato and strawberry growing pictures to get a sense of their spacing. Tomatoes are often grown vertically, with the stems wrapped around large NFT channels. Thanks for the great contributions you make here…the resources here are invaluable and the insights really help. 1. Am maintaining the nutes temp with chiller but the ambient atmosphere in my country gets high in summer. Do you recommend air conditioning or is their a budget friendly option? 3. What spacing would you recommend “between channels” for lettuce? Thanks in advance for your time and efforts. You are an exemplary person. Hats off!! 1. I would utilize more fans and air circulation to cool the local temperature in your growing area to keep it budget. 2. Yes, definitely change the reservoir at least every 2 weeks in an NFT. 3. Between channels or between net pots within channels? 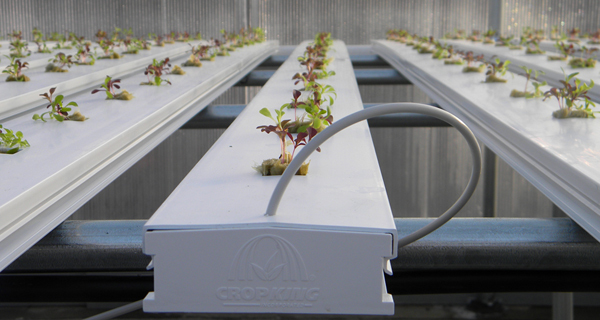 If channels, you don’t need more than 3-6″ depending on how large you want your lettuce to grow. In my country when it’s winter it’s fine but in summer temperature goes up to 34 degree Celsius. U said that Nutrient solution temperature needs to be kept within 68 degree Fahrenheit, that’s around 20 degree Celsius in order to keep the level of DO. 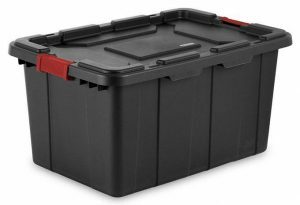 So, what should I do in summer for my NFT SYSTEM? Apart from that there’s also high humidity in summer (around 75-95%). It’s now winter but I am really scared what will happen in summer. Please give me a solution. Is water need to pump or flow 24/7? Is using timer for 15min On and 45min Off better? I’m just starting out, so there are many questions? Hi Kevin, here I’ve attached a photo showing the distance between the siphon and the net pot. How much should I lift the siphon up or with other words what part of the net pot should be submerged in the growing solution provided that we use the rows with holes of the net pot for reference. Honestly, you can get away with lower, provided the roots are poking out of the net pot at the bottom. After a week or so the roots will reach the bottom and it will become a non-issue anyways. I’m writing from Bulgaria (Europe). I regularly follow your posts and would like to thank you for your support and great efforts you put keeping your website updated. A year ago I’ve started building and maintaining hydroponic systems in my country and I really appreciate your hard work and readiness to share your experience with us. I’m currently working on a NFT system made of 110 mm pipes and I’m using 55 mm net pots. After I’ve made the holes for the net pots, and mounted the draining system (a siphon), the net pots remained 2-3 mm above the growing solution surface. My question is should the net pots be submerged in the solution or I should let them at a distance awaiting the roots to find the solution by themselves. If they should be submerged what part of the net pots should be under the growing solution. Thanks in advance for you time and help. I think you can get away with having the net pots barely touch the surface. The only worry I would have is, unlike DWC where the airstone bubbles saturate the growing media with water, that may not be happening in your NFT system. What you could possibly do instead of rebuild, is top-water until the roots in each net pot reach to the nutrient solution.